The Ebrille background story was chiselled out by passionate men. The perseverance and far-sightedness of this family-run business has been rewarded with important international success. The origin company - established in the early ‘900 and involved in the installation of thermohydraulic systems - has been further supported by a foundry devoted to the production of pipes, plates, and lead-siphons. In 1977 Ebrille Attilio and his son Giovanni decided to aim at the manufacturing of pre-insulated copper pipe. The entrance in the company of Ettore Ebrille in the late ’90 years involved the establishment of Complast Srl, specialised in manufacturing of foamed polyethylene articles, such as: sheaths, plates and packaging profiles. Monfertek Srl has been established in 2003 for the production of cross linked polyethylene plates for the use in the following fields: air conditioning, building, automotive, spare time and technical foamed materials, completing the polyethylene insulators range. The continuous research and innovation of the group during these years and the constant care with the target of the customers’ satisfaction make Ebrille a leading group in its specific competence market. The ISO 9001:2000 and ISO 14001:2004 approvals relevant to our plants and the certifications of the various products in the different European countries guarantee both quality and total reliability of the involved items. The certainty of a linear and coherent commercial policy assures the operators in the different markets with presence of our brand. 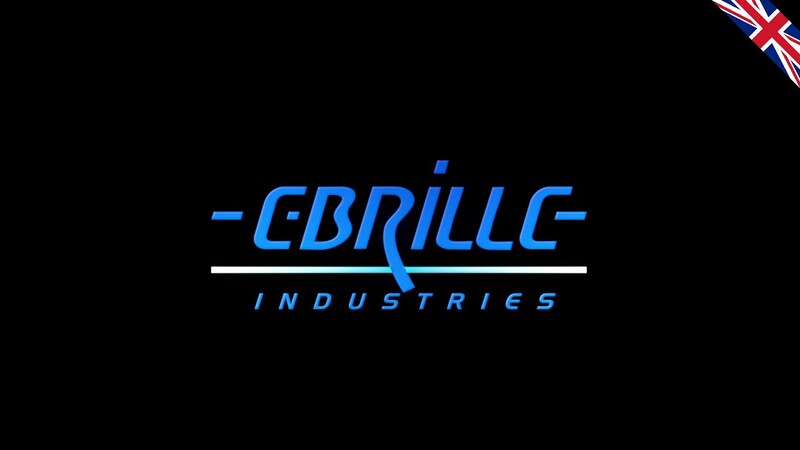 Ebrille Industries Group, experience and Passion. The copper pipe and the twinned copper pip­ing, insulated with Ebrille foamed polyethyl­ene is protected from an external film made of aluminium anti-UV. Permeability steam factor: μ ≥ 11.000. Cleaned inside and sealed at the ends under a pressure of more than 70 tons, this product is the idealsolutionforairconditioning plants and for the transport of refrigerants gas. Aluminium pipe insulated with with Ebrille expand­ed polyethylene and twinned insulated alumin­ium piping with Ebrille expanded polyethylene, protected from an external film made of aluminium anti-UV. Permeability steam factor: μ > 11.000. Cleaned inside and sealed at the ends under a pressure of more than 70 tons, this product is the ideal solution for air conditioning plants and for the transport of refrigerants gas. copper pipe with low content of carbon residues, insulated with Ebrille foamed polyethylene obtained by extrusion using environmentally harmless gases. Perfect solution for heating sys­tems, drinking water distribution, compressed air and diesel fuel plants. Guaranteed 30 years against pitting corrosion. CE marking. Multilayer pipe made of PE-Xb/Al/ PE-Xb, with “welded” aluminium, fully oxigenproof. Insulated with Ebrille expanded poly­ethylene made by extrusion, employing environment- friendly gases. The right choice for hot and cold drink­able water distribution, as well as heating systems.